I used to be terrified of failure. If I couldn’t know that I would succeed at something, I would put it off and potentially never do it. And this was true in all aspects of life. Driving. Dancing. Playing musical instruments. Talking to girls and later women. Athletics. I became the best I could at one or two things—the things for which I seemed to have a natural aptitude—to avoid having to worry about being asked to do any of a thousand other things. To me, failure was not an option. (I could spend months discussing why, but I won’t…at least, not here). It has taken me a long time, but I have finally realized that I was only half right. 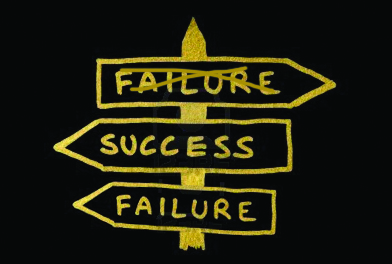 Failure is not an option…it is an imperative. It is a skill that I must practice time and time again in all aspects of life. At its simplest, if I succeeded at everything to which I turned my hand, I would stop doing it. I succeeded. I achieved my goal. What more could I hope to accomplish? Everything after that is pure redundancy and repetition. When harnessed, however, failure and imperfection can be that thing that drives me forward, when purely creative urges do not. 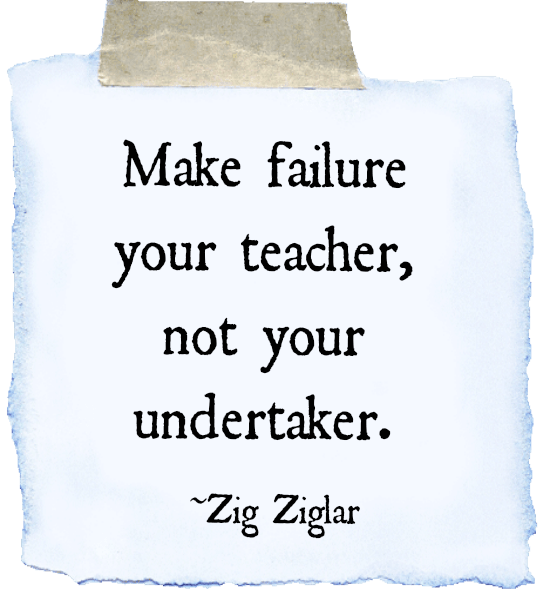 Failure is my teacher. 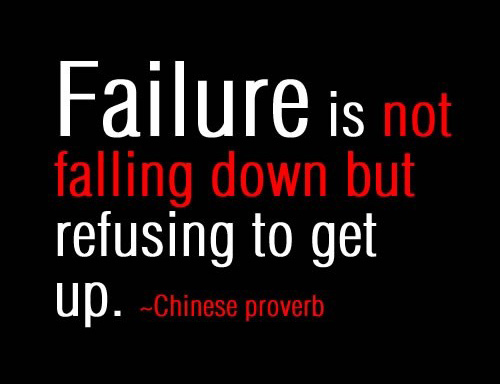 Failure is my drill sergeant and mentor. 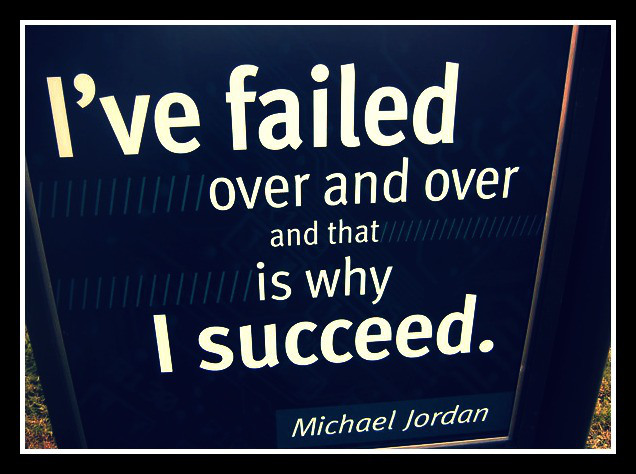 And yes, failure can be my devil. Perfection is an illusion and is therefore unattainable. This means that even at our zenith, we have failed. So what? Even if we do not strive for perfection, but for an attainable, measurable goal, we are likely to fail if for no other reason than once we have achieved that goal, we instinctively move the goal posts. Our best is always a thing of the past and acts as a goad for us to do better. Herein also lays the further challenge of failure in Art. There typically is no real metric other than external opinion. Rare is the individual who targets using 7.83% magenta in his next painting. 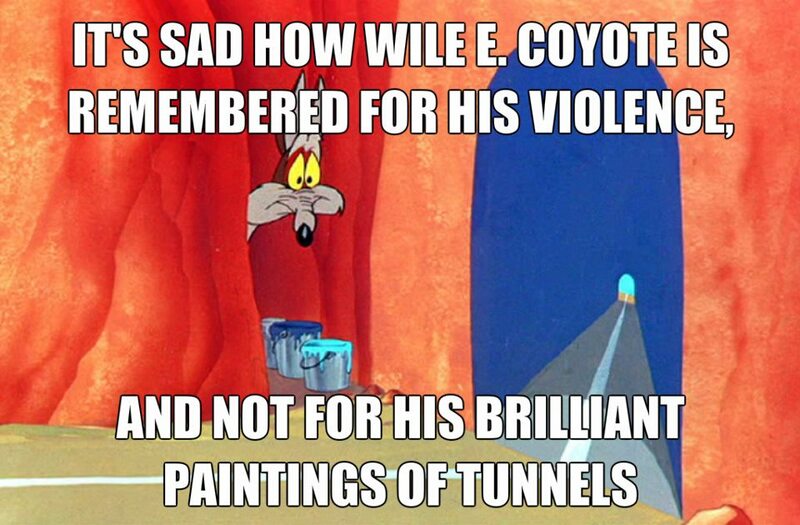 Wile E. Coyote is about the only artist I know who can actively test the realism of his Art. He has achieved his goal if the Roadrunner runs into the cliff wall painted to look like a tunnel. Ironically, his downfall was the hyperrealism he achieved such that the painting actually became a tunnel. In succeeding, he found failure. Where I used to fear failure, I now embrace it. I use it to stretch myself and my skills. I use it as a lesson plan. But for this to work, I must envision failure as something internal and self-defined rather than something external and based on the opinions of others. There lies madness. Yes, I rely on feedback garnered from others to determine my degree of success, but I do not allow others to define that success. It is my Art. I define it and in doing so, define myself. And to do that, I must fail and fail again. This entry was posted in Comedy, My life, Writing thoughts and tagged art, challenge, creativity, experience, failure, motivation, perseverance, Roadrunner, success, Wile E Coyote. Bookmark the permalink.